IB&S can organize and coordinate your project from the planning stages, to permitting, land preparation, electrical, plumbing and irrigation, cooling, heating, benching, etc. through completion or we can just get involved with critical aspects of your project. 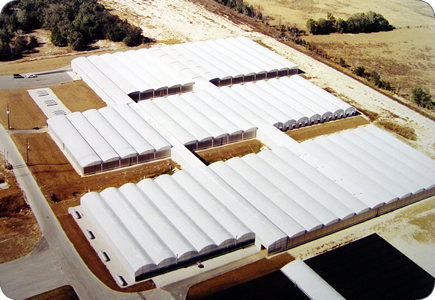 We have at our disposal, the most experienced and gifted greenhouse erection crews in the southeast along with other subcontractors that are knowledgeable about agricultural construction. You can choose to work directly with the erection crews and subcontractors or have their work go through us; it’s your choice. In either case, we will maintain our presence in making sure the job is completed to your satisfaction.